For a while now, the notions of use and appropriation, in spatial theory and practice, have been getting plenty of attention. Although this does not imply that the social production of space1 is a recent phenomenon, it is certainly true that the last decade has seen an enormous rise in the awareness of the capacity of urban design to produce a meaningful stage-set for various social groups2. The discourse around the use and the appropriation of the public domain is often associated with certain forms of indeterminacy in the design of spaces. Research on different degrees of freedom in using and appropriating space has built a varied vocabulary of examples in the design practice. For instance the TU Delft campus offers some areas for students called “free-zones”. Their description contains a paradox between what is meant as “freedom” and the explicit restrictions in their use: “Free-zones are designated areas on campus with electricity, running water and drainage that are free for you to use between 8:00 a.m. and 9:00 p.m. for various outdoor activities. For instance, you may find it more enjoyable to study or work outside. Or why not try holding a meeting or project presentation outdoors? Do you need an outdoor area to do research? Another option. The free-zones come in three different sizes, from small to large. You will always find an area appropriate for what you want to do”3. In a reality such as the Netherlands that has been considered one of the most planned and designed countries in the world (Dutt), it seems normal to define as “free-zone” a space in which the different functions are spatially defined and the appropriations are limited and controlled in time. 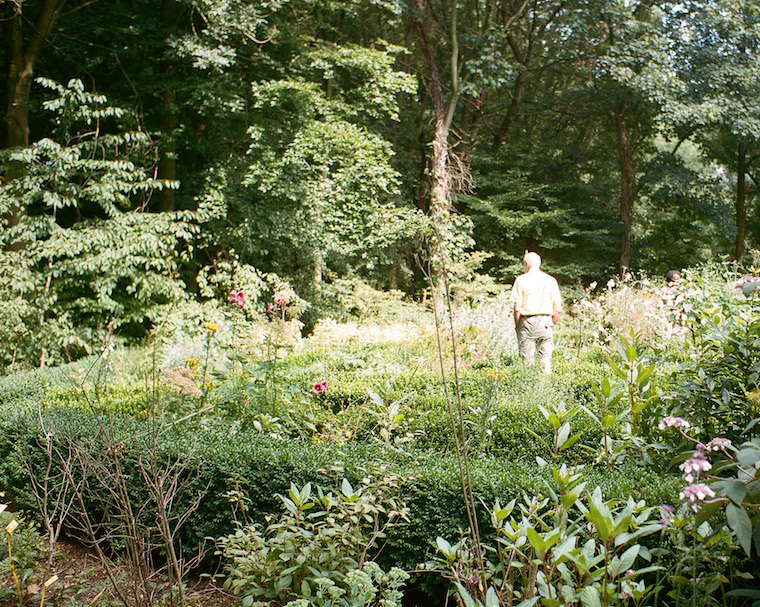 Nevertheless in a recent conference in Lausanne4, the landscape architect Adriaan Geuze, using some of the experience of his youth as a pretext, has described with nostalgia the possibility of freedom offered by the Dutch landscape. For example, the coastal dunes or the marshy land in the south of Dordrecht are depicted as a “playground for grown up men” in which all type of activities could take place. Through this narration Geuze highlighted how today these areas, not accessible anymore and controlled by rangers that protect the ‘wild’ landscape, have been fenced off and transformed into a sort of enclaves. 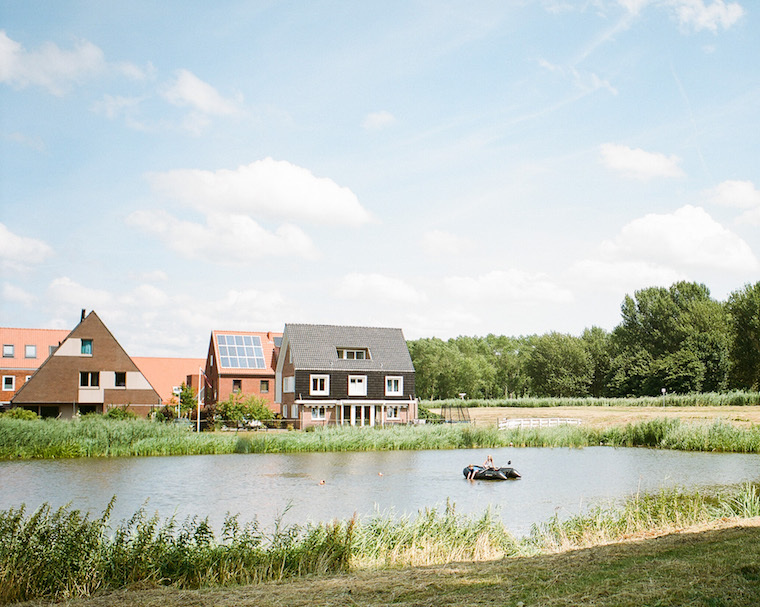 The spirit of nostalgia for the wild “playground for grown up men”, which shines trough Geuze’s narration, carries a few questions on the role of these spaces in the contemporary territory: What are the qualities of these spaces compared with the programmed ones? What is their role in urban dynamics? 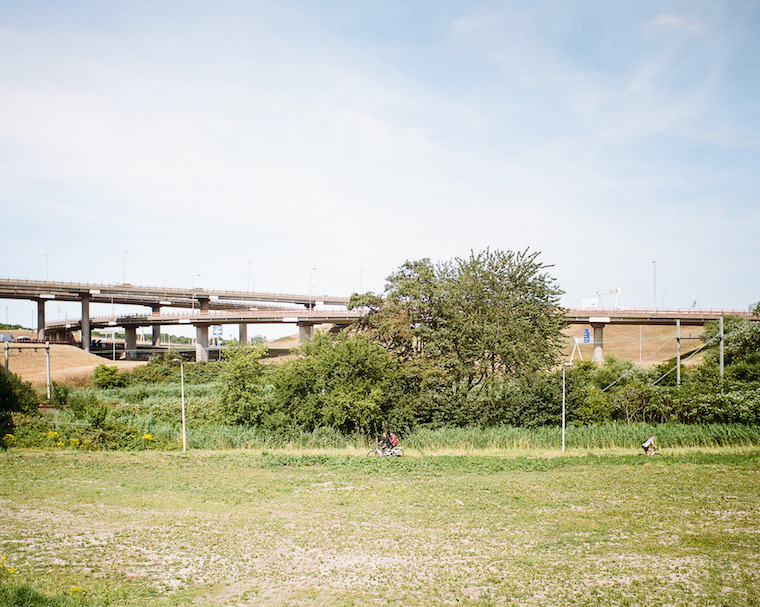 Are they still present in the over-structured and fully programmed Dutch landscape? In 1985 Dutt and Costa opened their study on Dutch planning as follows: “The Netherlands is decidedly the most planned country among the European nations. Only a few democracies of the world can match the planning apparatus of the Dutch governments. Such a state of affairs is a product of circumstances created by harsh environmental constraints, a challenging history, sociocultural forces, hard economic necessities, and the size of the country” (Dutt). Many authors have highlighted how this vast planning apparatus has been spatially translated through the creation of enclosed urban forms such as housing blocks, medieval-like meandering streets, and a multitude of peri-urban parks and tertiary islands, that, especially in the last decades, have shaped a fragmented and diversified urban territory (Lörzing). One of the sharpest interpretations of this condition was offered in 1989 by W.J. Neutelings who introduced the metaphor of the ‘Patchwork Metropolis’ to interpret the area between Rotterdam and The Hague (1991). In his study the territory of the South Wing of the Randstad is described as a composition of patches each one with a specific functional program and a specific physical structure. 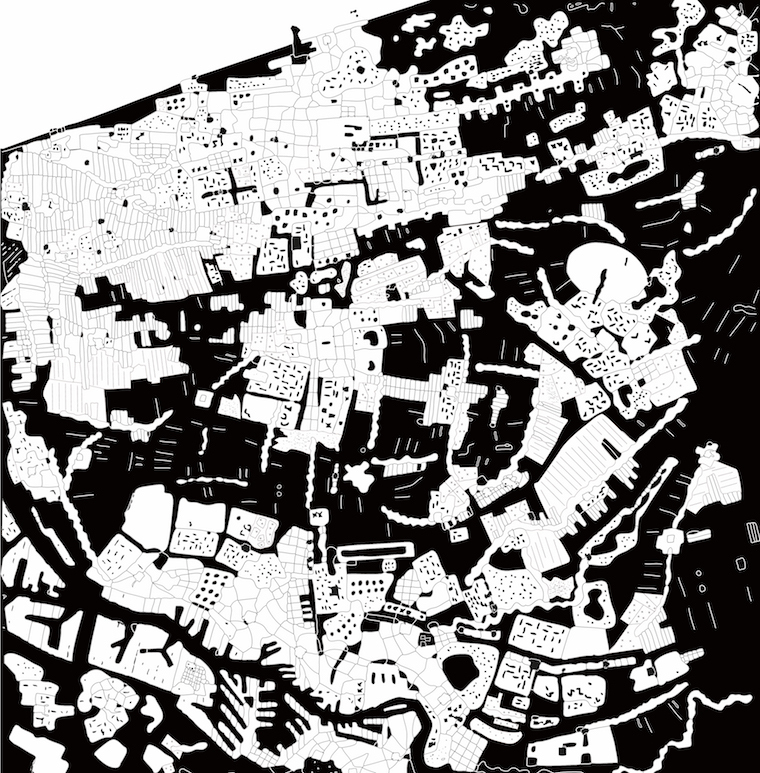 According to the author “Dutch urban planning creates enclaves […] fixed from top to bottom […]. The whole forms a system of inert fragments that are unable to admit any further dynamic in time” (2000). Moving from the concept of the Patchwork to its spatial translation, a plausible question arises: where is the free-zone in this over structured and static field? Usually the multitudes of uses characterising the central squares of medieval cities like Delft or Leiden or the multi-layered design of Schouwburgplein are perceived as the main spaces of free appropriation in the urban field (Wall). In these examples however the freedom is just illusory or at least staged. The different functions are, in fact, spatially defined; the possible appropriations are limited and controlled in time. to the transition and connection between areas with divergent territorial claims and, as a place in its own right, it constitutes, the spatial condition for the meeting and dialogue between areas of different orders” (p.1). This ‘space in between’5 — ranging from a thin line along the infrastructure to a large empty field waiting to be developed — presents a broad potential for unexpected appropriations. In between the patches — enumerated by Neutelings as “sculptural oil refineries, colourful bulb-fields, intimate garden cities, medieval rings of canals, eight-lane motorways, hypermarkets, functional high-rise estates, lakes for recreation, old Dutch windmills, university campuses, tourist beaches, protected dune landscapes, glass roofs of greenhouses, reflecting business parks, motels and furniture megastores, rubbish tips and golf courses, airfields, markets, squares and mosques” (1991) — exists likewise a variety of spaces defined not by their spatial and morphological configuration, but by the activities that can occur. The visual description, produced through the pictures, expresses the degree of vagueness of these areas, building a homogeneous narration of these places. At a first glance the characteristics of these places seem to respond to the notion of the picturesque, namely a space with trivial aesthetic qualities. Nevertheless, the human presence, slightly detectable in some pictures, is able to activate these places conferring upon them a temporary and ephemeral function. The patient observation of the spontaneous activities carried out by these urban pioneers6 establishes a re-definition of these areas that acquires an active spatial connotation. The photographic medium has the capacity to detect the hidden spatial qualities of the spaces in between, too often simply obliterated as waste lands, surfaces awaiting further development. A visual analysis, developed through the photographic medium, highlights a series of spaces charged with spatial qualities and potential uses, lying just outside the patches, becoming the counterpart of the Patchwork Metropolis. In this sense the notion of space in between approaches closely the semantic transition by Solà Morales in introducing the terrain vague: “A charged void intended as promise, as the space of possible expectation, as the necessary alternative to the structured urban space”. The contrast between the space in between and the patches can therefore build an alterative network of ‘free zones’ that overlap the official planned ones, a system of reservoirs fundamental to the development of the territory and for rebalancing its social functions. To a certain extent the distance between the staged authenticity (MacCannell), detectable inside the patches, and the free zones in between the patches can be metaphorically translated, through literature, as the passage from a linear to a non-linear narrative. A passage from a novel in which it is possible to predict, after few pages, how the story will end, to a non-linear plot composed by unexpected accidents in which the chances may play a relevant role7. Concretely, the first narrative is linked to a space restricted to a certain range of social groups and activities — which are usually scheduled in time and place — while the second is open to a complex and not arranged mix of events that can or cannot take place. Coming back to the Patchwork structure, the space in between, “hard to cross, the settlement for weak, marginal, and barely institutionalised functions” (Secchi, 1984, p.64), seems the only location in which the territory can be structured as a whole, in which it is possible to reduce or to increase the distance between the patches, in which the different worlds of the inhabitants of the urban field touch each other (Hajer, p.128). As the ‘sea’ in Massimo Cacciari’s Archipelago, the space in between the patches “is the place of the relationship, of the dialogue and the confrontation between the many islands that inhabit it: all by the Sea separated and all by Sea intertwined” (p.16, authors’ translation). If the design has a role in the definition of these spaces in between, this is to discover the strategic and vital relevance of the free-zones as pockets of indeterminacy that allow the dynamic transformation of the territory, in which programming is banned and the inhabitants should find on their own an equilibrium in the use and appropriation of space. A radical project for the Dutch Patchwork Metropolis should therefore consider both the patches and the spaces in between: the first as the territory of the project, as the space in which intentions and meanings are clear; the second as the place in which design should leave the space to the conception of more authentic and rich meanings8. 1. The notion of ‘social production of space’ is attributed to Henry Lefebvre: “(social) space is a (social) product” and “…every society – and hence every mode of production with its subvariants create their own spaces” see Lefebvre, H. (1991). The Production of Space (N. S. Donald, Translated). Blackwell Publishing, London. 2. This is testified by the large number of young architectural activists that hold in their portfolios projects of refurbishment of public spaces, installations, buildings’ reuse, usually framed within a participatory process. 3. See the definition of “free-zones” offered in the TU Delft web page: <https://intranet.tudelft.nl/en/as/news-and-agenda/latest-news/article/detail/freezones-op-de-campus-1/> (18/04/2016). 5. The concept of ‘space in between’ has been repeatedly used in architecture and urbanism to express the idea that what is left outside is often more meaningful than what there is inside, which usually represent the focus of the disciplinary or design attention. Starting from very simple binary oppositions – such us inside/outside, public/private, nature/architecture – the concept of ‘space in between’ has been declined at different scales and contexts, from Bernardo Secchi that highlighted the space in between objects in the venetian diffuse city, proposing the design strategy of the ‘progetto di suolo’ (see Secchi, B., 1986. Progetto di Suolo, Casabella, 520/521) to Aldo van Eyck who introduced the concept of ‘in-between realm’ to criticise the modern movement for its improper analysis and insufficient provision for man’s needs, as a person and as a community. 6. The term ‘urban pioneer’ has been widely used in literature. 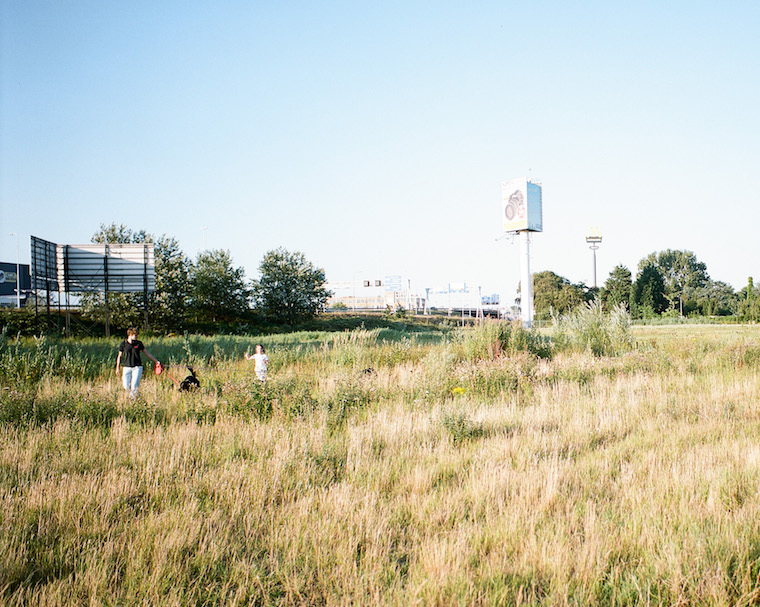 One example is the analyses of the practices of temporary uses in Berlin developed by Klaus Overmeyer in 2007. See Overmeyer, K., 2007. Urban Pioneers: Temporary Use and Urban Development in Berlin. Berlin: Jovis. 8. From the statement of Robert Venturi: ‘richness of meaning’ is favoured over ‘clarity of meaning’ in Venturi, R., 1977. Complexity and Contradiction in Architecture. London: Architectural Press. — Cacciari, M., 1997. L’Arcipelago, 3rd ed. Milano: Adelphi. — Dutt, A.K., and Costa, F.J., 1985. Public Planning in the Netherlands: Perspectives and Change since the Second War, Oxford: Claredon Press. — Hajer, M. and Reijndorp, A., 2002. In Search Of The New Public Domain, Rotterdam: NAI Publisher. — Hertzberger, H., 2005. Lessons for students in architecture, Rotterdam: Uitgeverij 010. — Lefebvre, H., 1991. The Production of Space (translated by N. S. Donald). London: Blackwell Publishing. — Lörzing, H., Van Leewen, W., and Soekimin, S., 2006. VINEX! Een Morfologische Verkenning [VINEX! A Morphological Survey], Rotterdam: RPB/Nai Publishers. — MacCannell, D., 1973. “Staged Authenticity: Arrangements of Social Space in Tourist Settings” in American Journal of Sociology, 73(3), pp. 589-603. — Meier, S. and Reijdorp, A., 2010, Themawijk. Wonen op een verzonnen plek [Themed Neighbourhood. Living in an Imaginary Place], Bussum: THOTH. — Neutelings, W.J., 1991. Willem Jan Neutelings Architect, Rotterdam: Uitgeverij 010. — Neutelings, W.J., 2000. “Our Lack of highways” in Archis, 3, p.79-80. — Overmeyer, K., 2007. Urban Pioneers: Temporary Use and Urban Development in Berlin, Berlin: Jovis. — Secchi, B., 1984. Un progetto per l’urbanistica, Torino: Einaudi. — Secchi, B., 1986. “Progetto di Suolo” in Casabella, 520/521. — Sennet, R., et al. 2014. “History / Imagination – Narratives of national and local identity e narrative as collective and individual memories”paper presented to The narrative of Landscapes Symposium, International symposium on landscape, 7-9 October 2014, EPFL, Lausanne. — Solà Morales, I., 1996. “Terrain vague” in Quaderns, 212, pp. 36-38. — Wall, A., 1999. “Programming the Urban Surface” in On Landscape Urbanism, Austin TX: Center for American Architecture and Design, pp. 182-193. Carlo Pisano, Architect, Urbanist, PhD (Doctor Europaeus). He has completed the “Postgraduate Master in Urbanism” at TU Delft in 2011. In 2011 and 2012 he worked for the Studio Associato Bernardo Secchi e Paola Viganò. Since 2013 he has been a lecturer and visiting critic in many European universities. He is currently a post-doctoral researcher in the University of Cagliari and consultant in the University of Florence for the Strategic Metropolitan Plan of Florence. Giaime Meloni, Photographer and PhD in architecture. The aim of his work is to explore the role of the photography as a sensible instrument to narrate spatial complexity. His research has been published in various publications (MAM Saint Etienne, INTRU). He has participated in several International Conferences (CCA, FAUP). He teaches photography as an instrument in architectural design in France and Italy. He regularly writes for DOMUS and is a contributing editor of GENDA Magazine.